The table lists the loan originations of p2p lending marketplaces in June. Zopa leads ahead of Funding Circle and Lendinvest. The total volume for the reported platforms adds up to 491 million Euro. I added Iuvo Group and Dofinance to the table. I track the development of p2p lending volumes for many markets. Since I already have most of the data on file, I can publish statistics on the monthly loan originations for selected p2p lending platforms. The table lists the loan originations of p2p lending marketplaces in June. 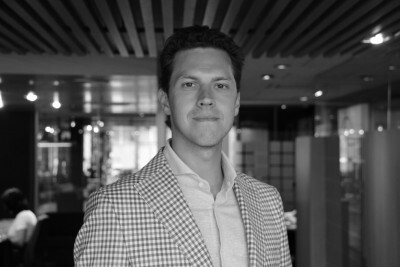 Funding Circle leads ahead of Zopa and Lendinvest. Assetz Capital makes a huge leap forward. The total volume for the reported platforms adds up to 530 million Euro. I track the development of p2p lending volumes for many markets. Since I already have most of the data on file, I can publish statistics on the monthly loan originations for selected p2p lending platforms. The table lists the loan originations of p2p lending marketplaces in May. Funding Circle leads ahead of Zopa and Ratesetter. The total volume for the reported marketplaces adds up to 500 million Euro. This is over 10% higher than the previous month and that despite the adverse effect of the pound taking a dive. I track the development of p2p lending volumes for many markets. Since I already have most of the data on file I can publish statistics on the monthly loan originations for selected p2p lending platforms. This month I added Paskoluklubas. Investors living in national markets with no or limited selection of local p2p lending services can check this list of international investing on p2p lending services. Investors can also explore how to make use of current p2p lending cashback offers available. UK investors can compare IFISA providers. The table lists the loan originations of p2p lending platforms in April. Funding Circle leads ahead of Zopa and Lendinvest. The total volume for the reported marketplaces adds up to 445 million Euro. I track the development of p2p lending volumes for many countries. Since I already have most of the data on file I can publish statistics on the monthly loan originations for selected p2p lending platforms. This month I added Nucleus. The table lists the loan originations of p2p lending marketplaces in March. Volumes picked up considerably compared to February. Funding Circle continues to lead ahead of Zopa and Ratesetter. The total volume for the reported marketplaces adds up to 532 million Euro. I track the development of p2p lending volumes for many countries. Since I already have most of the data on file I can publish statistics on the monthly loan originations for selected p2p lending platforms. This month I added Lenndy and Credit.fr. Investors living in national markets with no or limited selection of local p2p lending services can check this list of international investing on p2p lending services. Investors can also explore how to make use of current p2p lending cashback offers available. The European online alternative finance market, including crowdfunding and peer-to-peer lending, grew by 92 per cent in 2015 to €5.431 billion, according to the results of the 2nd Annual European Alternative Finance Industry Survey conducted by the Cambridge Centre for Alternative Finance at University of Cambridge Judge Business School, in partnership with KPMG and supported by CME Group Foundation. The report released today, titled “Sustaining Momentum”, had the support of 17 major European industry associations and research partners, and was based on data from 367 crowdfunding, peer-to-peer lending and other alternative finance intermediaries from 32 European countries – capturing an estimated 90 per cent of the visible market. P2P-Banking.com is one of the research partners. The United Kingdom was by far the largest in Europe at €4.4 billion, followed by France at €319 million, Germany at €249 million and the Netherlands, €111 million. Other large European markets include Finland with €64 million, Spain at €50 million, Belgium at €37 million and Italy at €32 million. The Nordic countries collectively accounted for €104 million, while Central and Eastern European countries registered a total of €89 million. Excluding the UK, the European alternative finance market grew by 72 per cent from €594 million in 2014 to €1.019 billion in 2015. “Although the absolute year-on-year growth rate slowed by 10 per cent” (from the 82 per cent growth excluding the UK between 2013 and 2014) the industry is still sustaining momentum with substantive expansion in transaction volumes recorded across almost all online alternative finance models,” the report said. Peer-to-peer consumer lending is the largest market segment of alternative finance, with €366 million in Europe in 2015. Peer-to-peer business lending is the second largest segment with €212 million, with equity-based crowdfunding in third with €159 million and reward-based crowdfunding fourth at €139 million. Estonia ranked first in Europe in alternative finance volume per capita at €24, followed by Finland at €12 and Monaco at €10 outside of the UK. Online alternative business funding increased by 167 per cent year-on-year to €536 million raised for over 9,400 start-ups and SMEs across Europe. Institutionalisation took off in mainland Europe in 2015, with 26 per cent of peer-to-peer consumer lending and 24 per cent of peer-to-peer business lending funded by institutions such as pension funds, mutual funds, asset management firms and banks. Across Europe, perceptions of existing national regulations in alternative finance are divided. About 38 per cent of surveyed platforms felt their national regulations for crowdfunding and peer-to-peer lending were adequate and appropriate, 28 per cent perceived their national regulations to be excessive, and a further 10 per cent said current regulations were too relaxed. 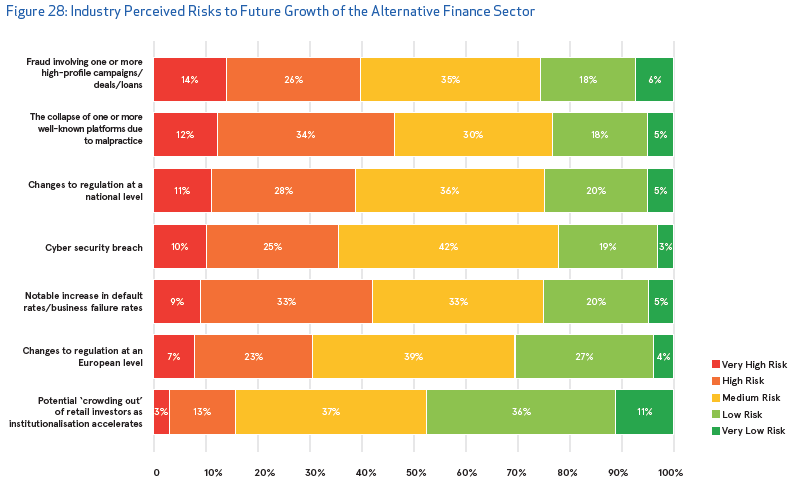 The biggest risks perceived by the alternative finance industry are increasing loan defaults or business failure rates, fraudulent activities or the collapse of platforms due to malpractice. The Spanish Securities Exchange Commission (CNMV, Spain’s financial regulator) has authorized MytripleA as a Platform for Participatory Financing, the formal name for a p2p lending platform. This is one of the first actions to implement Law 5/2015 Promotion of Corporate Financing. MytripleA already benefits from a Payment Institution license (which can be passported within the EU) granted by the Bank of Spain, which authorizes MytripleA to make loan disbursements and receive loan instalments within the regulatory environment for banking payments. This is an additional regulatory requirement in Spain, which is not required by other European countries. With this new authorization, MyTripleA becomes the first crowdlending platform to have both of the required authorizations in Spain. Competitors entering Spain, will not be able to use the the so-called passporting provisions from a financial regulator outside of Spain and will need to apply for a Platform for Participatory Financing license before being able to operate in compliance with Spanish regulations Law 5/2015 Promotion of Corporate Finance provided a unified legal framework for crowdlending platforms and securitized funds, and made CNMV responsible for their creation, authorization and supervision. 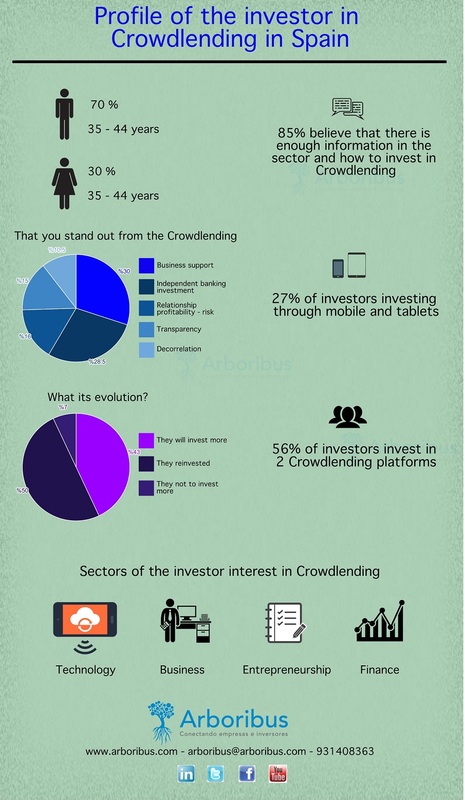 Crowdlending has experienced rapid growth across Europe. The Spanish market last year grew 266% according to the website P2P-Banking.com. Within the new regulatory framework and with the supervision of CNMV, a greater degree of awareness of the alternative financial services market is expected. French Lendix announced that it received its formal CNMV accreditation to operate as a P2P lending platform in Spain. The Spanish entity will be the first Lendix international market to open. It will target financing of credits to SME, for amounts ranging from 30,000 to 2,000,000 Euro, duration of 18 to 60 months and at interestrates comprises between 5.5% et 12%. Companies presented on the platform will be selected and analyzed by Lendix credit analysis team and will need to generate a turnover of at least €400’000. Non accredited private investors* will be able to lend up to 3,000 Euro per project with a total maximum yearly amount of 10,000 Euro, while no limit will apply to accredited private investors nor institutional investors. The launch of Lendix’s spanish platform is scheduled for Q4 2016. Equity crowdfunding platform Crowdcube also received authorization. Spanish p2p lending marketplace Arboribus completed a study among 1,500 investors on its platform. 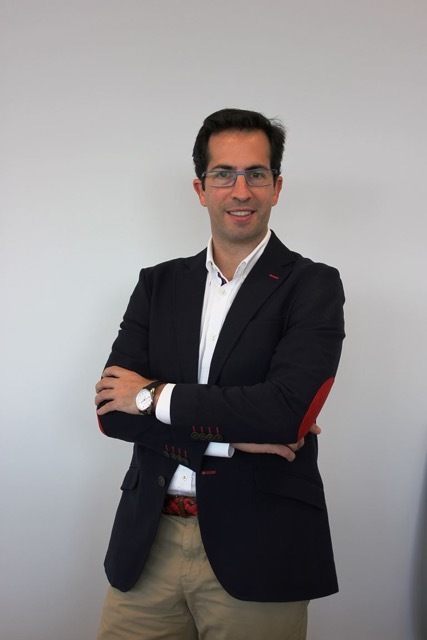 Arboribus facilitates loans to SMEs in Spain. Viventor is about providing sensible investment opportunities for investors from all over Europe. As we started considering the idea of Viventor less than a year ago, peer-to-peer financing was achieving remarkable success in the US and the UK. In contrary, the “old continent” was relatively underserved. And so the goal was set – to build a peer-to-peer lending platform for European investors that is accessible, makes investing convenient, and offers high quality services, investment opportunities, and the product itself. Firstly, it is the investments themselves. All loans currently offered are secured by liquid real estate mortgages, as well as come with Buyback Guarantee. The weighted-average LTV ratio of our loan book is 28.45%, and we are proud to be the market leaders in terms of providing such low-risk opportunities. Secondly, the investors receive fixed monthly interest payments. Relatively few platforms do this, but we see it as an advantage for the investors. Instead of diminishing interest and trying to crack advanced formulas, we offer straightforward logics and exactly the same payments every month. We want to make investing convenient also for people relatively unfamiliar with the world of finance and peer-to-peer lending. Thirdly, it is the simplicity and convenience of investing. We are constantly making efforts towards removing the friction from the investment process itself by building the platform and its UI simple and intuitive for any user. Improvements based on everyday findings are constantly implemented, new languages are added, and educational material is made available. Our aim is to for investing to be simple and enjoyable. Viventor does not originate loans itself, and this is unlikely to change in the foreseeable future. However, if we speak about the partner companies that have currently listed their loans on Viventor, there are a couple of things worth noting. The companies consist of professionals, possessing years of experience in non-bank lending and underwriting, and having their skin completely in the game. Also, access to financing for eligible borrowers is considerably faster than that offered by alternative creditors. This has been achieved by combining years of experience and knowledge with machine learning and other modern technologies. Currently, investors can earn up to 7% p.a. fixed, and there are no fees withheld. The number will be going up though, as we will be adding other types of loans with higher levels of interest. Prestamos Prima, the mother company of Viventor, operates in Spain? What led to the decision to incorporate Viventor SIA in Latvia? We as professionals have been in the non-bank lending for many years, involved in other projects before Prestamos Prima. While Spain is one of the major markets at the moment, it is certainly not the only one, and you can expect loans from other European countries being added. What concerns Viventor being incorporated in Latvia – we are Latvians, and prefer to stick to our origins whenever we are able to choose. There is a lot of untapped potential and hidden talent in the Baltics, but then again – I believe people familiar with the European peer-to-peer financing market are well aware of that already. MytripleA is the first and only fully regulated platform operating in the Spanish market. MytripleA is a Spanish business finance platform meeting both short-term and medium-term financing needs of Spanish SMEs. MytripleA offers two different products: 1) insurance guaranteed loans -for more conservative investors- and non guaranteed loans -with higher risk and higher return- and 2) invoice financing. We offer an excellent risk-adjusted return to investors with a very robust underwriting process. Our investors receive monthly payments (except for invoice investments). In addition, we offer insurance loans (with close to zero risk) to more conservative investors. The abovementioned advantages and being the only fully regulated lending platform in Spain have allowed us to have a stable and growing investor base. Fast response to applicants. We are very flexible to adapt our financing to the borrower’ needs. In addition, our financing leaves no records in the Bank of Spain’s debt data base which makes it much more attractive than banking debt. Our ROI in currently 8.30% with zero default rate. How did you start MytripleA? Is the company funded with venture capital? My cofounder and I noted that there are thousands of solvent SMEs ignored by the banks and decided to connect personal savings with solvent companies by using technology. We checked the regulatory issues and launched the company once we had obtained the necessary approvals. The company was initially funded by the founders and then we did our first round with GLI Finance and other private investors. How valuable is it to have an experienced investor like GLI Finance? Can you please give examples how they help you in your business development?